The Cheltenham Transport Plan is a key part of our vision for Cheltenham, which includes supporting the ongoing social and economic regeneration of the town, promoting good design, to put people before traffic, and to promote accessibility by improving pedestrian and cycling linkages. 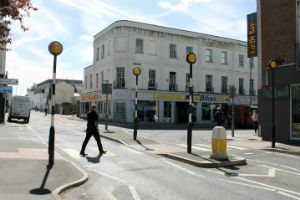 The trial closure of Boots Corner is being extended until later in the year. Find out more about the trial. You can make a general comment, enquiry or formal representation on Gloucestershire County Council's website. What's happend in previous phases? We found through consultation that people generally supported the idea of improvements to public spaces and the traffic changes needed to deliver them, but people were clearly nervous about how changes would work in practice. It was therefore important to deliver the changes in clear phases with time to monitor and adjust each phase. The return of two way traffic at Albion Street, improvements to pedestrian crossings and freedom of movement for cyclists. For techincal details and junction alterations for phase one, please visit Gloucestershire County Council's website. Reintroduction of two way traffic to give better access to Regent Arcade and Rodney road car parks, changes in traffic signalling, removal of parking bays and relocation of disabled parking bays. 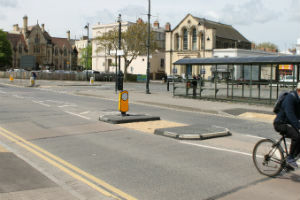 Part of this phase (Bath Road safety scheme) was put on hold to ensure that the long-term solution takes into account any changes in the way traffic flows around the town following the assessment of all phases of the Cheltenham Transport Plan. For technical details and junction alterations for phase two, please visit Gloucestershire County Council's website. This phase was adjusted as further analysis indicated that that changes to Clarence Street and Clarence Parade were unlikely to be successful without the closure of Boots Corner. The focus of this phase was as a result limited to focus on the re-configuration of Royal well Road. 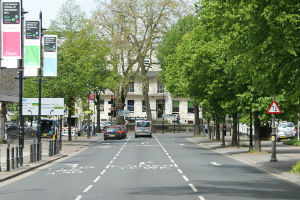 For techincal details and junction alterations for phase three, please visit Gloucestershire County Council's website.